In this paper, we will discuss some of the existing cryptocurrencies available today, provide an overview of the marketplace, and establish how Adel is positioned within these contexts. Nxt is the platform that Adel will use for their digital marketplace. Adel will migrate to Ardor, the multi-chain development of Nxt, once it is deemed suitable. The first iteration of blockchain was invented by Satoshi Nakamoto in 2008 and simultaneously introduced the first application of this technology with Bitcoin, a token intended to be used as a form of currency. Bitcoin ▲ Bitcoin continues to maintain its position as cryptocurrency’s most popular coin despite a number of new tokens which have entered the industry. This is largely due to its status as the first genuinely decentralized cryptocurrency, as well as the first mover advantage it had. After its coverage in mainstream media, numerous 3rd party systems emerged to utilize its underlying blockchain technology for purposes beyond a form of currency. Litecoin[i] ▲ In addition to the faster average transaction time of 2.5 minutes (compared to Bitcoin’s average time of 10 minutes), Litecoin uses the Scrypt algorithm[ii] instead of the SHA-2 hash[iii], thus allowing memory resources to be valued over processing power. As a result, readily available Graphic Processor Units (GPUs) are used for mining rather than the significantly more expensive Application-Specific Integrated Circuits (ASICs)[iv] used by Bitcoin miners, and are resistant to these customized processors being created specifically for Litecoin. Aside from this difference, Litecoin is very much a copy of Bitcoin, though, as its name suggests, it represents a lighter version. These platforms came into focus around 2013 with the launch of Nxt[v] which used blockchain technology for various applications beyond having its native token serve as a form of currency. While the tokens themselves are also traded on exchanges, they are not intended to be used as a form of currency outside the network. Ethereum[vi] ▲ Promoted as a “World Computer” and designed as such, Ethereum intended their token to be used within their blockchain as a form of payment for processing. By enabling Smart Contracts (essentially a protocol that allows the execution of a command when certain conditions are met) Ethereum turned the entire blockchain into a computer as users were now able to put these transactions into the blockchain itself. These Smart Contracts use Solidity[vii], a programming/scripting language created specifically for Ethereum. Ripple[ix] ▲ Ripple focuses heavily on the world of FinTech by having their system used by banks around the world for cross-border payments. They are currently working with large banks to provide customers with international transfers at a lower cost. Nxt & Ardor▲ Adel is built on the Nxt platform which has numerous features that will be extended to the Adel ecosystem. It will move to the Ardor platform, a separate blockchain created by Jelurida (a corporation of Nxt’s core developers), once it is deemed suitable. This provides projects with a wide range of features that have been thoroughly tested. The platform also utilizes templated smart contracts, known as smart transactions, in order to bring greater levels of security. Implementations of these and other features include phased transactions (i.e. multi-signatory authorization), assets that can represent either digital or physical products, decentralized voting, decentralized trading through asset exchange, and shuffling, otherwise known as mixing, which can be used to increase anonymity levels. The core developers of Nxt have been working on these features since its introduction in 2013. With this foundation of advanced blockchain features, the Adel ecosystem can focus on project development, best-in-class business practices, and an efficient and self-sustaining community. Adel will continue to capitalize on the features of Nxt and Ardor as both evolve. Other blockchain platforms can only be used if it is not possible or ideal to use the Nxt or Ardor platforms. Board & Staff Support ▲ Adel will leverage the expertise of the board and staff. With a wide range of expertise both inside and outside of blockchain-related ventures, this team will act as public leaders for Adel, as well as actively contribute to its growth and development. Unlike other projects, the board and staff will be available for advice, consultation, and support to further the success of their projects before they are submitted to the community for voting, throughout the Project Review Committee process, and after the project has been launched. Innovator and Group projects will also benefit from the expertise of the Adel board and staff while maintaining their confidentiality. Community & Participation ▲ Adel believes that a community-based ecosystem will be a strong differentiator in its funding platform. This follows the decentralized ideology of blockchain, while creating and maintaining efficiency in the decision-making process. Community members also have the option to participate as expert advisors and employees of projects and will have priority before the general public. This enhances accountability and inclusiveness to the success and profitability of new businesses, applications, or inventions. 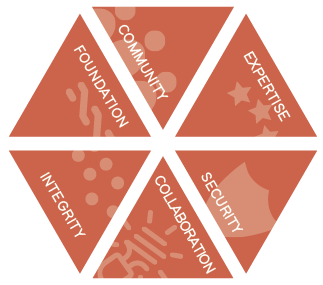 Integrity & Conduct ▲ The values established by Adel will help legitimize the ecosystem it represents. Adel’s Community Code will be adhered to equally by Adel’s leadership, staff and community members. This applies to, though is not limited to, forum participation, project submission and approvals, as well as the operation of the projects themselves. Adel will also follow local and regional laws and regulations in its community activities and projects. Security & Stability ▲ With the security and stability of Nxt and Ardor, Adel will have a robust platform to work with on top of the latest security features. Our staff will continue to enhance the platform to mitigate against fraud, collusion, and manipulation. IT security experts in the Adel and Nxt/Ardor community will be continually consulted for their support in vetting the Adel platform, as well as to aid in minimizing new threats as they become visible to the development team. High availability, security, and stability will be built into the community portal where a cost versus risk balance justifies the investment in IT best practices.